Super Steel Weld Instructor showing students what we look for during their weld tests. “Manufacturing Day is critical to resolving the skilled labor shortage in manufacturing,” said Patricia Lee, Director of Marketing for Fabricators & Manufacturers Association Int’l®. “Some people think we don’t make anything here in the U.S. anymore, and yet nothing could be farther from the truth. This annual opportunity for manufacturers to open their doors, invite the community in, and share information about what they do and the types of skilled employees they need is critical to resolving this labor crisis which will only accelerate as more and more Baby Boomers retire. Each of these companies takes great pride in what they create, and the process of creating it. For many, the specialized knowledge of their field is a learned skill; one that has taken many years to master. For many companies, the best part of Manufacturing Day will be visits from students and showing them the potential of industrial careers. 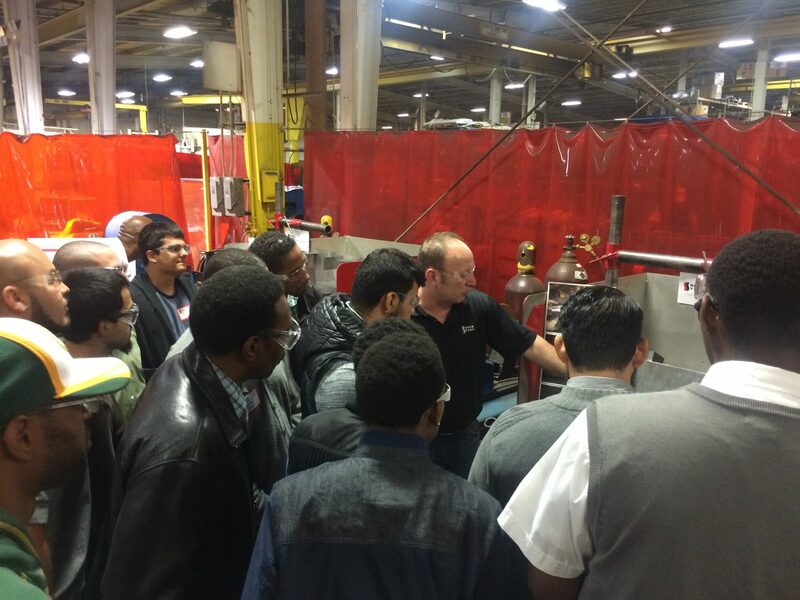 “It provides students a first-hand chance to learn about real career opportunities that are available, and we’re hoping to inspire a new generation of manufacturers,” said Heather Krugler, representative for Super Steel, LLC in Milwaukee, Wis.
To read the full article, check out Aol Jobs.